Calling all Photographers this is the prop for you!! Hurry and get your hands on this unique rustic raft Photo Prop. This sweet little raft will help you complete that nautical look. The rope accents really give this unique raft a finished look. 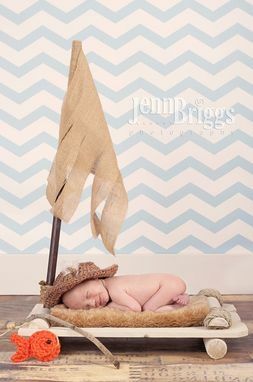 The burlap sail complements the rustic feel we were hoping for. This listing is for the raft and sail only.